Giveaway of $15 Gift Card! It never stopped being her. It never will. She never thought she’d see him again. 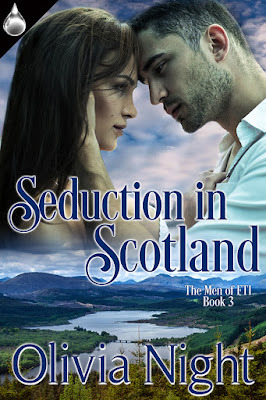 Not after what she’d done to them… Sarah Cosgrove wakes from labor and emergency surgery to find her soul mate staring down at her. It’s been six years since she’s seen the face of the only man she’s ever loved. Since she broke Logan’s heart. Logan Harper, a skilled killing machine and top ranking member of Fairlane Trade International, entered a hostage situation, expecting the task to be quick and easy. It becomes anything but when he finds Sarah—the woman who broke his heart six years ago—giving birth to another man’s baby. When she tells him her life is in danger from the powerful and abusive father of her child, Logan has no choice but to protect the woman he once loved and her newborn baby, but he vows to never love her again. As they trek through Europe to get to safety, the mystery of the last six years begins to unfold, sparks fly, and emotions rise to the surface. Can Logan keep the love of his life safe without letting her back in his heart? Can Sarah learn to trust a man again after being abused? Will soulmates reunite? “Take care…of her, Logan. Don’t let him find her. He can’t find her.” She pulled in a shallow breath. “Always loved you. Was always yours,” she whispered to him. She smiled a bit more, and then that was it. Her eyes closed gently. Her chest slowly fell. The heart monitor flat lined. Logan stared, unwilling to believe his eyes. Unwilling to believe his ears. He could hear the baby was still crying as they checked her over. Her lungs sounded healthy. He listened as the other doctors worked between Sarah’s legs, one pushing on her stomach. Sarah’s limp body moved from the pressure of the doctor’s hand. And then reality came crashing in at the same time a wave of heat spread over his body like fire. Sarah’s chest didn’t move. He watched another beat, not believing what he was seeing. No. Logan roared. His face never left hers as he roared to the fates. His whole body shook with anger and disbelief as he bellowed his denial. “Sarah! No! No! Help her!” he howled to the doctors. A middle-aged male nurse was suddenly next to him and tried to push Logan out of the way. “Sir, you need to move so I can help her.” The nurse spoke in heavily accented English. Numbly, Logan moved away from the one woman he had ever loved, from the one person who could bring him to his knees. He stumbled back as he watched the doctors and nurses work frantically to bring her back. Another nurse walked over to him and placed something in his arms. He gazed down. And he saw the most beautiful baby in the world. And just as Sarah was and had always been, so too, was Madeline. She was his. Night Owl Reviews - Top Pick! We are taken on a wild ride and I loved every minute of it. It is very well written and the characters are great. I look forward to reading more from this author. 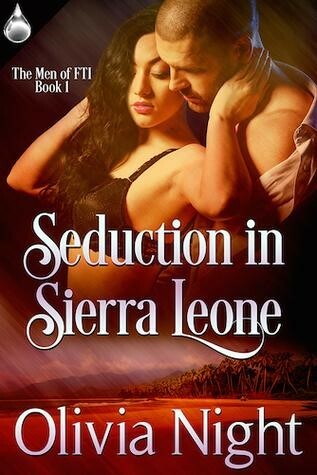 Great storyline with action and steamy romance. There has obviously been great thought put into the characters. Olivia has a great writing style that pulls you in immediately and grips you, hard. The characters are so well developed in this story. They have an incredible depth and chemistry that makes them so compelling. Right from page one, you can feel for them and want them to succeed. I can’t recommend this book enough. If you are a fan of romantic suspense, you won’t want to pass this one by. So exceptionally well written. Olivia Night, a fictional character herself, has always been an avid reader and writer. She found the romance genre in college and has never been able to get enough. 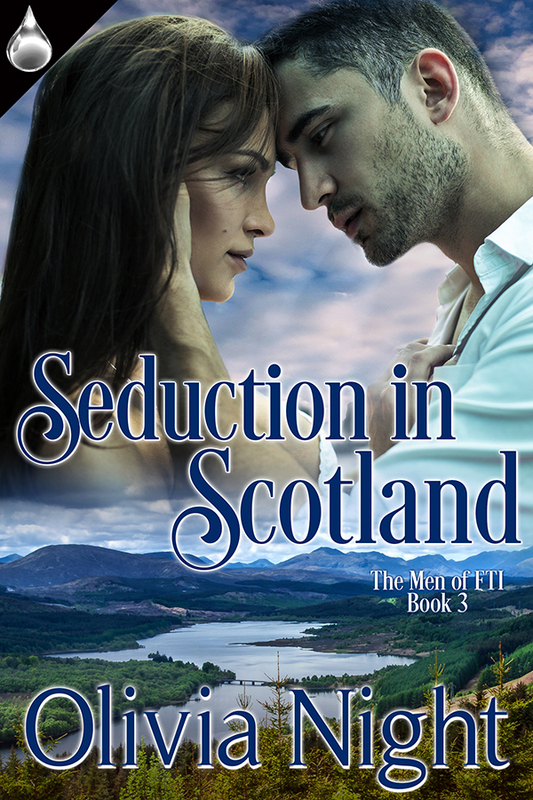 One sleepless night, the main characters of Book One in her Men of FTI series sprang from her head fully formed. They demanded she tell their story; so she did. As they revealed themselves, so did two other intriguing characters. Those characters convinced her to give them their own books because their stories were worth telling too. And so Olivia suddenly became a romance author. When Olivia is not writing, she has the best job in the world, which, too, will remain a secret. In her free time, she reads, write, drinks wine, or is, most likely, out emulating Buffy the Vampire Slayer. Olivia lives in one of the most diverse and vibrant cities in the U.S.—Baltimore. She lives with her cat, who she is convinced was a gladiator in his past life. Olivia plans to continue being awesome at this thing called life. Really, that’s her only goal.